Add the sounds of people or crowds to MorphVOX Pro Voice Modifying Software. Now you can disguise your location just for fun. Sound like you are out partying with friends, at a restaurant or watching a sporting event. 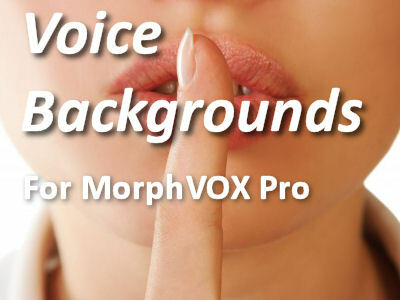 Note: Voice Backgrounds requires MorphVOX Pro Voice Changer Version 3.0 or higher run.